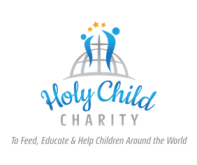 Holy Child Charity is a non-profit entity formed in 2014 by Dr. Cesar Parra. As an accomplished pediatrician practicing for many years in Houston, Texas, Dr. Parra developed a special desire to care for underprivileged children. With that thought in mind, Dr. Parra felt that his next calling was to form a non-profit organization dedicated to the well-being of children. Holy Child Charity is devoted to feed, educate and help children around the world. Born in Colombia, Dr. Parra and his wife have seen the disadvantaged children in remote parts of that country. However, one does not need to travel far from Texas to see underprivileged children. In 2014, Dr. Parra and his wife visited Catholic Charities at Rio Bend. This facility houses refugee children in Richmond, Texas. They invited a few friends to visit the facilities and they all witnessed firsthand the neglected children right down the road. This group of friends understood Dr. Parra’s vision and they now form part of the Board of Directors of Holy Child Charity. Holy Child Charity is based on Christian principles. We pray that Jesus Christ guides us so that we may lead this entity and put your generous gifts to work according to His teachings.